Dr. 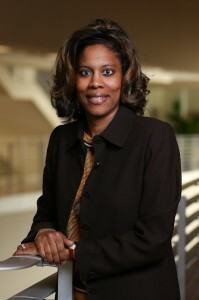 Dawn McLin, associate professor of psychology in the College of Liberal Arts, recently checked off her fourth student lecture in a speaker series for her psychology of disaster class. 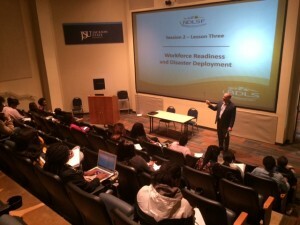 The class is unique because it offers psychology majors training on the traumatic impact of natural disasters. “Natural and manmade disasters happen every day, and after Hurricane Katrina I had some graduate students do research looking at the mental and physical health effects,” said McLin. The professor explained that after Hurricane Katrina – the destructive and deadly Category 5 storm that severely impacted places like New Orleans – she had graduate students research the effects which led to the development of the class. “We wanted to train our students, who are majoring in psychology, that this is an area you may want to look into as a career opportunity,” she said. As part of the series, Andy Case, director of Consumer Services Mississippi Insurance Department, spoke with McLin’s class regarding the challenges people face when dealing with natural disasters and the financial loss that can occur. The director wanted students to understand that most people are displaced from their homes, routines, and jobs for lengthy periods. Aside from insurance, Case said that preparation is also necessary for people to overcome natural disasters. “Despite an insurance policy providing financial recovery, in the case of large-scale disasters that’s usually not enough. Contractors may be in short supply, utilities may be unavailable for a long time, and often, people’s livelihoods are disrupted – many jobs aren’t available to come back to until recovery has taken place,” he said. Case further explained that although those with insurance may be paid for their property loss, they still have many needs that can’t be met – financial, personal and emotional. He said that bottom line many people are not prepared and personal responsibility falls on the individual. The government (local and federal) cannot always be a go-to. Cozy Gray, a senior at JSU, called the series an eye-opener. She said Case really drove home the significance of having a Plan B. “You have to make sure, in your home, to have a first aid kit, a to-go bag with clothing, food, non-perishables and even toys and clothing for your children,” she said. Heath Williams works as an emergency response manager for the Mississippi Center for Emergency Services at the University of Mississippi Medical Center. Giving students the first-responders perspective when dealing with natural disasters, he discussed topics like personal health and wellness; education and training requirements; and personal risk. Gray said Williams “kept it real” with the class. “He let us know that each time they get a call they have to prepare themselves and their family because there is always a chance that they might not come back,” she said. 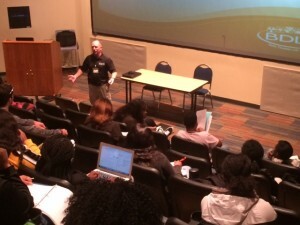 Williams shared that he was honored to participate in the lecture series and that courses such as the psychology of disaster, offered by the institution, are instrumental in providing insight about the emotional and physical exertion from both the victim’s and first responder’s points of view. Gray, a psychology major, said that as a young, college student it’s easy to take life for granted and be oblivious to the dangers one can encounter. However, she said the series has made her understand the importance of being prepared at all times.